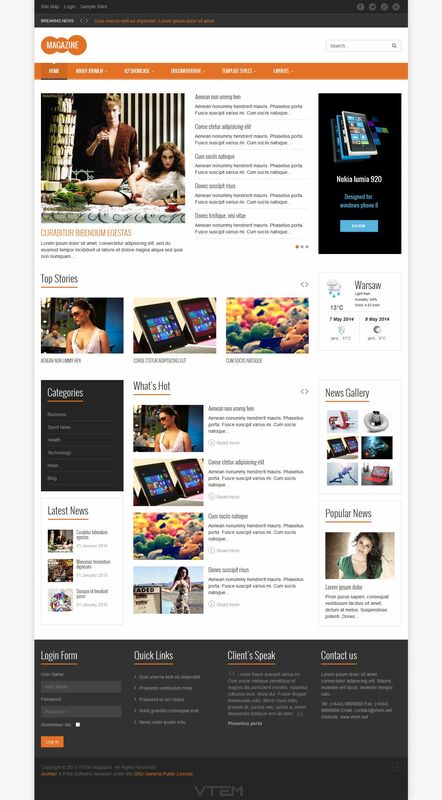 VT Magazine - superb template for news portal developers Vtem, which supports the latest version of Joomla 2.5x and 3.1x. Design template designed considering new adaptive features that allow you to properly display poster on various mobile devices and tablets. The template website provided 4 different color design that are easily configured through the control panel template. To simplify working with content in the template manager integrated materials management K2, which has a variety of useful functions and tools. Convenient display material site provides studio resolution, which is in the archive. VT Magazine - the best choice for creating online magazines, city portals and news sites.